Go from concept to virtual prototype faster than you ever thought possible with the desired quality using a single easy to use application. 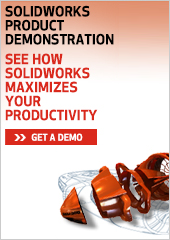 SolidWorks Premium is so complete; you can progress from a product concept to a highly accurate virtual prototype without employing any other software. Workgroup Product Data Management. SolidWorks Workgroup PDM helps small engineering workgroups minimize errors and duplicated effort by capturing file revision histories automatically and managing data access and use. Please call our sales department for more information on these products.